With the new year right around the corner, set a few goals for yourself for the upcoming year. Discuss why you want this goal, what you are going to do to achieve it, and how you plan to stay motivated. Do you think goal setting is important? Do you usually follow through with your goals? I believe one should always be working towards a goal. It gives one something to look forward to and to strive for. A goal should be a stretch but definitely attainable. I try hard to make sure I follow through on goals but some goals I set take me on paths that allow me to see new goals. The one new years resolution I have sustained for the past 3 years was completely eliminating soda from my diet. This year I plan to incorporate a lot more greens and build a meal around vegetables. I want to add in more greens to help my body and cut out a portion of processed foods, ultimately t0 feel better. Another goal I am setting for the new year is trying not to binge on sweets all at one time; to have one or two and not three or eight. I’ll do this by not depriving myself as often and having some on occasion. Motivation comes natural for me, because every where you look you can find motivation. As a new years resolution, I plan on going to the gym more than three times a week and going jogging every morning or right as it gets dark. I have been watching my friends work out more than they usually do and noticed that they lost quite a bit of weight and gained more strength, endurance, and were a lot less stressed out than usual. I think if I changed my lifestyle and integrated more workout time into my daily schedule, I would feel much better and live a longer and better life. As my friends continue their workout routines I keep seeing them progress and change their lives for the better. This is a major reason why I want to do what they are doing, and maybe if I did so I would influence other individuals to do the same. I strongly encourage others to set goals like this for themselves as it can be a major motivation. We all want to be rewarded, and if we follow through with goals such as improving our workout schedules, we will have more self confidence and live a better life. I have always thought this, and have tried to accomplish most of the goals that I have set throughout my life. For the new year, a goal that I want to achieve is playing less on my phone. I am on my phone basically 24/7. I have a tendency to just turn on my phone and play a game or just go on something. It is important for me to set this goal because I can save a lot of my time and do something that is more important. I plan to set a time limit. I would try and allow myself only about five or ten minutes. To stay motivated, I just got to push myself. Another goal for this new year is finishing homework or projects right when I get home. I procrastinate a lot. I wait until the last minute to finish everything. This goal is important because I can save a lot of time and I am able to sleep earlier. To achieve this goal, I just have to push myself to work on homework right when I get home. I think setting a goal is really important because it gives you something to look forward in the future. To honest, I never set goals for myself because I know I am going to break them probably the next day. I hope, though, for the next year I can achieve both of these goals! As the new year gets closer my goal for 2013 is to become closer to Christ and to prepare myself for college and the hard training I will face when I get there. I have chosen these goals because they will help me in so many ways. I am going to achieve these goals by reading the Bible more often and sharing the Gospel with others. Also I will go to the gym everyday for at least an hour and workout with a Dallas Cowboy trainer over summer to prepare for college softball. I will motivate myself by telling myself that, "I am getting paid to play softball at a D1 college!" Goal setting is important in general because if you don't have goals then what can you achieve? Goal setting is very important to me because that's what gets me through my day. I know if I set a goal to finish something, I know it will get done. I always follow through on my goals. My goal is to have better time management at home. When I get home at night I tend to get distracted from my studies by eating junk food, getting on the computer or watching television. The reason I want this goal is that I will become more efficient and to be able to accomplish more in less amount of time or to be able to move on quicker from each activity. While I am at home I tend to find myself to be eating much poorer because that is something I am looking to do and also I am not sleeping as much as I need to. It is very important for me to learn good time management skills next year when I get to college so I can be as successful as possible. Also I set goals for athletic and band at the beginning of each year. I think that goal setting is incredibly important because it keeps a person focused on an individual action to potentially make them a better person. I inconsistently follow through with my goals sometimes being successful and sometimes not being successful. I have been successful at giving up soda for a given amount of time, but I have been unsuccessful at logging my workouts on a daily basis. As I have grown older I hope to be able to accomplish more of my goals that I set. During the year, I always try to set new goals for myself to achieve. However, for the upcoming year my goal is to apply for a lot of scholarships for college. First off, I want to achieve the goal of gaining scholarships because I want to make college as affordable as I can make it, without taking out loans to do so. In order to achieve this goal, I plan to use scholarship websites and FAFSA to see if I can gain any grants. I plan to stay motivated by reminding myself that I can't be the person who didn't try! So I'm really going to stick to my hourly scholarship searches for an hr, daily during the school year. I believe that goal setting is important because it helps you achieve much more tasks than if you didn't set goals---its very vital to a successful lifestyle. I normally follow through my goals. However, sometimes my senioritis and laziness tend to get in the way (which I'm trying to work through). My motivation for completing my goals comes from the bigger picture and what is in it for me when I complete my goals. Hopefully all my effort from applying for scholarships pays off! I have a lot of goals for the new year. One of my main goals is to get back on focus. I have noticed ever since we got closer to Christmas and this happens to me every year that I tend to start losing focus on school and need to become more focus. But also need to become more focus all the time. Also, to continue working hard not just in school but also for baseball. Even though it might not look like I try in school sometimes which is in part to my bad ADD, I really do especially at home and really do when it comes to baseball. So basically for the new year I just want to continue working hard, stay focused, not take this year for granted, and work on bettering my self as a person. I feel that all things are great habits to continue as I go into college and I am making sure to get better at these so that I can translate these habits to college in order to be successful. Also, another one of my goals is to be thankful for everything. This year I have grown a lot and since college is right around the corner I have noticed how great I actually have it and I am extremely thankful. So in the end this New Year’s I just want to keep moving forward in the right direction, with the right habits, and attitude. I believe goal setting is important because everyone likes having satisfaction and since I am competitive I like to challenge my self. I think its important to always strive for something and also I usually follow through on the goals I set. Usually because they are attainable and realistic, but also challenging. The goal I want to set for myself this year it to not procrastinate and to spend my time wisely. Especially it being my senior year I have already become really lazy and push things off and wait until the latest possible time to get things done. By doing that I think I’ve stressed myself out more and I would have a lot of free time if I didn’t procrastinate so much. To achieve this goal I want to try to get more organized like creating a big calendar with all my due dates on it and such so it can help keep me motivated. I do think setting goals for yourself is important because it helps you improve whether it’s your health or yourself as a person. I have broken some of my goals or eventually gave up but I’ve also kept up with a lot of them also. One of my biggest goals this year is fitness. I plan to start jogging, which is something I've been wanting to do for years, and keep up with P90X, this time for more than just a couple of weeks. It's easy to complain about gaining weight but not as easy to work for it, so to make this happen I will find a work-out buddy to help me keep my focus. My motivation comes from other success stories and knowing that I can do it too. Also, any time that I am in need of motivation, I find it easy to find on nearly every website through quotes and pictures. Academically, my goals apply mainly to calculus. I need to learn not to ignore the material that I don't understand and look to as many resources as I can. I think it's incredibly important to always have goals to work towards because it gives people meaning. By having goals they are actually living and not just getting by. Unfortunately, I'm a little lazy so it's hard not to just sit down and relax on my free time, and usually have a hard time following through. With the new year around the corner I have set a few goals for myself to help me be a more healthier and all around a better person. My first goal is to exercise more frequently in the week and to choose healthier options when I am eating and to cut caffeine out of my diet. By doing this goal my body will have more energy and with the more energy I have I can perform better in school and the activities I am involved in. By having someone to workout with can help me stay motivated and to work harder. My second goal is to work harder in school and not to procrastinate on my school work. If I try harder in school then my grades will improve and I will have successful senior year. My first semester was not too good so I want to improve my second semester. I will have to motivate myself on this one, but I plan on doing this because I want to end my high school years strong. I think setting goals are important because it is a way to get things done, but you do have to set motivated. Setting goals can help a person become a stronger and healthier person. I usually do not fallow through with goals but this time I plan on fallowing through and achieving all my goals I have set because there is a new chapter in my life fast approaching. As each year passes, I realize more and more things that I would like to change in my life. The new year brings new goals that I want to accomplish. Sometimes they are little things and sometimes they are things that I want to do on a day to day basis. First, I would like to start eating healthier foods and exercising on a regular basis. By doing these things, I could potentially improve the physical appearance of my muscles and bones as well as reduce the likelihood of getting sick. Simply feeling better each day motivates me to stay healthy. Another goal that I want to set for myself in the new year is to read my devotional in my Bible every morning. I have tried this in the past, but I usually lose track towards the middle of the year. Despite my busy schedule, I would like to set aside a few minutes each morning to start my day out right. I also hope to get into Texas A&M University and live as a student on campus. Lastly, as college is approaching, I hope to show my parents how much they really mean to me. They have been there for me through it all and I only hope that they can tell how much I appreciate all that they do for me. Sometimes I actually manage to follow through with my goals, but sometimes I don't keep up with them the entire year. I am going to try extra hard to keep up with my goals this year. I think it's important to set goals for yourself because it gives you something to look forward to and keep up with all year long. If I can achieve all of these goals, I am positive that 2013 will be an unforgettable year. I think goals are a very important thing to have. Every year brings new goals i want to accomplish but this next year, 2013 is going to be a different year. One of my goals is to maintain a healthy lifestyle. I think one of the most important things is to maintain a healthy lifestyle. Every year i always try and eat well and i do but i need to get better about working out. By doing these things i would improve my mental and physical health. Also another one of my goals is to get into a college specifically TWU. I really think its important to get into college and get started on my future. I normally do follow through with my goals which is a good thing. I think it is really important to set goals for yourself so that you can achieve certain things that you would not normally achieve. I think if you can achieve these goals then you will have a good year and a good rest of your life. Some of my goals for this upcoming year include staying in shape, eliminate soda from my diet, and to eat healthier gourmet foods. I want to learn to cook so that college won't consist of only eating out and eating junk foods that can be easily made.Also I've always been a fan of soda and have tried to lessen the amount I drink systematically and hopefully sometime next year I can break my desire for soda. I usually don't keep track with my goals but they are helpful for me as long as they are short term goals. I plan to stay motivated through constant reminders of how bad these things are for your body. This year, I am keeping my health resolutions to a minimum, so that I will be more likely to keep them. I long ago gave up resolving to exercise more, even though I know that is what my body needs most, because few things in life make me more miserable than physical exercise. Instead, I am resolving to eat breakfast and lunch on school days. Somehow, both of these meals have gone out the window. Breakfast has been replaced by just a cup of coffee, and during lunch I usually do homework instead of eat, then I snack consistently through the rest of the day and the afternoon. Needless to say, I have been losing weight consistently all year, but I have never had less energy in my life and I feel gross during the day because of the junk food I'm eating instead of meals. Make no mistake, I am NOT purposefully depriving myself of food, on the weekends I have a normal, decently healthy diet, I just feel like I don't feel like I have time to eat real food before and during school. This New Year, I resolve to make time to eat 3 real, substantial meals a day instead of 1. With the new year just around the corner, goals for the upcoming year always come to mind. This year, the plan for 2013 is to stay in shape, focus on my grades, and get more sleep. In years past, i've come up with the same goals, however 2013 is the year. I plan on staying motivated by getting my parents to badger me about things like working out or eating right or going to bed. Although annoying, it is a pretty effective way to get me to do something. I usually fail on goals and slip back into my normal lifestyle, however I think that if i focus and try, I could follow through this year. Goal setting is important, because if you don't goal set, what are you trying to do in your life? What is the purpose of day to day living if you do not have an end in sight? In order to achieve my goals, I am going to go to the gym more often, pay attention to what I am eating and limit snacks, and try to be in bed at a reasonable hour. I think if I put my mind and heart into 2013, it will be a great year! Even though some people never follow through with them, goals are very important to set in your life. It gives you motivation and a reason to work hard in order for you to achieve it. For me personally, every year I try to set a goal of staying healthy and to not over stress about school. Stress can ruin your health and physical appearance, so its important to keep the stress levels down and the healthy levels high. A person might be physically healthy, but stress ruin your mentally and emotions. I usually follow through with my goals for about 50%, then once it get to the middle of the year, I tend to fall back on them. But I still try to set goals that are high to reach, but not impossible. it is a great way to be motivated and to push yourself. Everyone wants to makes themselves pour, so why not start with personal goals that can be conquered. A popular term around a new year is "new year, new body". As we all know, actually sticking to our new year resolutions are quite difficult involving dedication and responsibility. I'm really going to try to fulfill mine this year. My new year resolutions include, eating healthier, working out, and getting plenty of sleep. My motivation is that in the past few years, my mom has been diagnosed with osteoporosis, a bone deterioration disease. This disease is hereditary, and due to the fact that my mom wasn't eating properly and she wasn't strengthening her bones with weight bearing exercises. While attaining osteoporosis would not be anytime soon for me, I want to take the proper steps to prevent it in the future because my chances of getting it are quite high. I think goal setting is very important, there is a study shown that people who write their goals down are far more likely to complete them compared to someone who doesn't. Honestly, unless it is something completely necessary to my health, grades, or family I'm not one to usually follow through with my goals without a source of motivation. My mom will motivate me to become a healthier person because thats what she would want for me. Also, I plan to be active as an adult, so I need to start being more aware of what I eat and how often I workout. With the new year coming along, I am hoping to lose some weight and to start eating healthier. I want this goal, because i've lost weight by just cutting out soda from my diet, and I'm hoping that if I start working out for at least an hour every day, and eating healthier, I'll lose a bunch more by prom. Yes I know, this sounds like a typical cliche new year's resolution, but this is my goal. I've probably said I'll do this every year, but this year is different. I will make myself workout at least an hour every day, and it won't matter what time it is at, nor does it matter if i do it at different time periods. As long as I get at least an hour in, each day, it still helps. I use to count calories, and eat "x" amount of calories everyday, but that was a lot harder than I thought. I'm going to start making my diet consistent of foods that I need, and not foods that I want. I will stay motivated with the help of my mom and friends. I do believe goal setting is important, because it's something to keep you going. Also, if you actually accomplish your goal, it's a great feeling. I usually stick with my goals for at least a few months and then give up, but i'm hoping that I turn this goal into a daily routine. With this year ending, and a new year approaching, it is important to have resolutions and goals that you will stick to. In the past, I have had many new years resolutions, but as time went by, I never stuck to them. But for this year, I hope to stick to my goals so that I may have a year that I am satisfied with. In 2013, I want to live a healthier lifestyle and work out more and eat healthy. Although I workout pretty often, I am not consistent. I make excuses that I'm tired and I take days to weeks off which doesn't really give me the results I want. This year I want to be more consistent in my work out routine so I can get in shape and lose weight. I also want to eat healthier and eliminate any junk food that I eat through out the day. Also, I want to study harder and make better grades. Since college is right around the corner, I need to get into the mindset of studying so I can be prepared and ready. Getting better grades and a better gpa will benefit me so I can get scholarships and try and get some of college paid for. In order for all these goals to happen, I must stay motivated and focused. I think setting goals are important so that you will be satisfied with your self when you accomplish your goals. It gives people a milestone to reach, and it motivates them. As for myself, I think I follow through with my goals. I pursue them, but the problem for me is completing my goal. This year I want to follow through with all my goals and complete them so I can be satisfied with myself and have a good year. Many people make resolutions for the new year that are typically a stretch and therefore, they don't work out. Every year I have made a pretty wimpy resolution. This year, though, my goal is to get at least eight hours of sleep every night, have a healthy diet, and exercise regularly. I want this goal because I want to be healthy for college, and because I have a long line of health issues in my family. I believe having a healthy lifestyle overall makes all the difference in the long run. To achieve my goal, I will cut out junk food, work out after tennis practice, and get my homework done early so I can sleep early. Setting it is definitely important and although I usually don't follow through with goals, I am determined to do so with this resolution. A new year goal I have for myself is to start using my time wisely and getting things done more efficiently. I need this goal because I always procrastinate on everything I do and I don’t want to procrastinate this much when I go off to college. I’m going to try and set a checklist for myself as a constant reminder and set times of when to do things and stick to it. I plan to stay motivated but constantly keeping the checklist around me, because when it’s written down you’re more likely to follow through. I think goal setting is important, but with a busy schedule I usually fail to follow through with my goals. I hope for my own sake that I will follow through on this one goal though. Goal setting is extremely important for several reasons. It can keep you motivated and can keep you on track for what you want to do. Also when setting goals you should always try to stay realistic so you do not become disappointed. My goals for the following year is to be a more studious and try to get more sleep. I have a bad case of senioritis so I am going to try to study more. Also I am a night person and I will usually stay up pretty late. I get around five hours of sleep a night and I want to try to get at least seven to eight hours of sleep a night. Hopefully these goals will last me throughout college at least, but I usually give up my goals within a couple of months however. Goal setting is extremely important and I hope I can follow through with mine. My goal for the upcoming year is to raise my SAT score up and my GPA. Since I’m a junior, I have about 6-10 months left before I absolutely need to finish applying for college and my goal is to go to UT in Austin because of many reasons. My first step in achieving this goal is to take SAT classes and try harder. My motivation for achieving this goal is that almost everyone in my family went to UT in Austin and to my family, it is a right of passage, a known goal. It is important to set goals because goals are checkpoints to a life that you want to have, a life that will satisfy you either financially or mentally. I follow through with most goals but I have to admit that there are some silly goals that I didn’t care for and didn’t follow through but I do take this seriously and I know that I will achieve it. I think it is very crucial that you set goals for various things. It helps motivate you to be a better at whatever you're trying to accomplish. I set many goals in life and most of the time i follow through. Nothing feels better than accomplishing something you had to constantly work towards. Every new year i set goals i need to pertain throughout the year. One of the ones i have this year is to eat healthier and exercise more. I want to do this so i can be fit especially before college. I have a goal to be able to run a half marathon before summer ends which i will work towards every day by running. Another goal i have is spend more time with my family. I want to do this because since i dont have much longer before i leave for college i want to ensure i get alot of quality time with my family. I plan to do this my having family night at least 3 nights a week. I will also make more goals as the year progresses but as of right now those are my main two. As the 2013-year approaches I have began to set a couple goals for myself. One of them is to have straight A’s on my report cards. In order to accomplish this particular goal, it is going to require more hours of studying and more effort during class. Certain classes are easier to get A’s in than other so I am going to have to concentrate on the more difficult courses. I believe that if I stopped procrastinating it would make my grades increase significantly. I want to set this goal because I always have a B on my report card and I believe if I worked at it I could be a straight A student. Another goal of mine is to stop complaining about situations. A way I can aid this issue is to always look on the bright side of things. I believe this would make me a happier person and it would make me less stressed. I believe setting goals are important because it makes myself feel more accomplished when I reach my goal. It gives me a benchmark to strive for and ultimately makes me more successful. If I set a goal for myself, I will achieve it. I would be extremely upset if I set a goal and didn’t achieve it because I would feel like a failed myself. My goal for the upcoming year is to start saving money instead of spending it. College is expensive and working while in college is going to be strenuous. Although I will have a job in college it would be nice to already have some money saved for a rainy day or for emergencies. Maybe I will get into a freak accident, anything is possible. To achieve this goal I have already made use of a jar and every time I cash in my paycheck I put $20 in that jar. I usually do follow through with my goals and I'm already following through with this goal. I believe goal setting is very important, because if you are not actively working towards something, it is easy for one to become complacent and stop working to improve oneself. For the last half of senior year, I have two goals: stop procrastinating as much and get more sleep. I want to stop waiting until the very last minute to do everything, because it only causes me unnecessary stress. Plus, I want to get into the habit of not putting school work off until the last minute, because I know I won't be able to do that in college. By not procrastinating every night either, I will be able to get more sleep instead of pulling all nighters and being exhausted the next day. Of course, those are easier said than done, and because I'm usually not very good at following through with my goals, I'm going to become better at organized planning. I want to have check points for myself (especially when it comes to long term papers and projects), so that way, I will not be waiting until the last minute to start. This new year I`m going to try and read my bible every night. I try and do this as much as I can but things always come up that prevents me from doing so. I plan to stay motivated by decreasing the amount of things that distract me from God in my life. This includes less time on social networking websites. I plan on achieving this goal by setting an alarm on my phone every night and when it goes off I stop what I`m doing and read. I think having goals is important in life because it creates motivation and helps you succeed in things you work hard for. I usually keep my goals especially if they`re important to me, so hopefully I will succeed in this one. This past year I had really felt like I have been doing nothing really continuously. Here and there I would try to start something up but then I would back down and not fulfill my goal. This goes especially for working out. This year I want to change for the better, being a healthier person with a better diet is something that is really helpful for the different systems in the body and I believe that if I try my best and stay motivated that I can also live a more healthier lifestyle. My goal this year is to start a workout plan and keep it on going. Along with this goal I would also like to set a goal of eating less junk food and more foods that have plenty of protein in them. One goal that I want to set for myself is to stop putting off projects and studying till the last minute. I want to make this my goal because as the years go by, it will just keep becoming harder and harder. I think it will be a good habit to break before going to college. Goal setting is always a good thing because it helps you strive for something and keep you in check. I do follow through with my goals most of the time. One goal I would like to set up for my self is to make more time to study for things, I get really good grades but maybe I could get even better ones with the amount of time I spend on studying. Another goal I would also like to set up for my self is to go on a vegetarian challenge and not eat meat for 3 months to see how much weight I loose and just for an experience. With the new year just around the corner, i have set a few goals. One of them is to save more money. I'm attending a college out of state and tuition is high. Having some extra money will take some of the stress off of being thousands of dollars in debt. I will also need the money to get myself out there. In order to achieve this goal I will be getting a second job and putting 75% of my paycheck away into a savings account. In order to stay motivated, I'll print up a small picture of the college i want to go to, and put it in my wallet. That way every time I go to spend money, I will be reminded that I should be saving it. I think setting goals is very important other wise you will go through life accomplishing the bare-minimum. I try my hardest to follow through with my goals. Sometimes i achieve them, and sometimes I don't. Goal setting is very important. It gives you something to look forward to and when you finally achieve that goal, it is very self-satisfying. This next year I really want to make it to the state championship meet in swimming. I want to achieve this goal because I want to swim in college and if I make it to state I will have a better chance on being recruited. I plan on lifting weights three days a week, an abdominal workout every day, and eating healthier. I plan to stay motivated because, again, I want to swim in college so the state meet is important to make. Another goal I have is to remember to be thankful towards my family and friends. It’s not like I’m not thankful now, but senior year is going by so quickly and I just want them to know that they have impacted my life so much and are thankful for all they have done. To achieve this I will always remember to over-thank my parents for all of the work, effort, and encouragement they give to/towards me and for my friends letting them know that I appreciate them always being there for me and supporting me. I feel like that is super cliché, but also that we forget about the little things, like being thankful. I will stay motivated because my friends and I are going off to college soon and won’t be able to see each other nearly as often as we do now and my parents have done so much to set me up for success that they deserve the best from me. I typically do follow through with my goals and this year I am super motivated to make sure that I achieve them. It’s senior year and I want to make it a memorable one. The new year what a beautiful thing. The new year isnt just another number, it is a chance to completely change your ways, a chance to forget your past and make a new future. With the new year coming up i have set some goals for myself. First off is to further my relationship with God and become closer with him, secondly is to show my family unconditional love even though it is hard and third i want to put on ten pounds of muscle before summer. These goals are defiantly achievable but i must work hard and make sacrifices on a day to day basis. With the new year coming up, I plan to make a new years resolution. New years resolutions rarely work and most people do not actually do them. In this upcoming year my goal will be to focus on my school work and work hard to get my ACT and SAT scores higher. In accomplishing my goal, I will do my very best to stay focused on my school work and do well. I also hope to raise my scores to where I get the option of where I want to go to college. Each day I will spend more time on my homework and study extra hard in the class that I am struggling the most in. For my scores, I am going to take many practice test and try to know all types of questions the test can ask me. Motivation is a very important thing while try to reach a goal. I have always naturally had motivation to do well and to work my hardest so this will be beneficial while striving to accomplish my goal. I believe goal setting is very important for everybody. Everyone should try to have goals in order to push yourself. But I also think, many times, people create goals that are very hard to reach. I believe if you plan to set a goal, you need to reach that goal. I do not believe in people setting extremely high goals, that can not be easily accomplished. In the movie Dodgeball Vince Vaughn says if you don't have goals, you won't be disappointed when you don't reach them. I do not totally agree with the fact of not setting goals but I do believe that people need to set manageable goals so you won't be too upset if you do not reach the goal. I really hope and am going to try very hard to reach my new years resolution and my goal. When I set goals, I usually reach them and hope to reach this one. With the new year coming up, I would like to start focusing on my school work. I know this will be hard to do, especially in the second semester of senior year, but I think that in the end, that’s what makes it even more worth achieving. Usually I procrastinate on my homework and studying and usually I end up rushing through it because I wait until the last minute to start on it. After school I usually go home and take a nap, and then I wake up and watch TV and then eventually start my homework. I think that if I start on my homework right when I get home and just get it done, then I will understand the things I learn more, and not be in such a rush to do them. With goals, I usually stick with them at first, and then lose motivation at the end, so hopefully this time I can stick with it and keep my grades up for the rest of the year. My goal for next year is to manage my time more wisely. Whenever I get back from school, I usually grab a bag of chips and turn the T.V on. Even though I know I have homework to do, I still watch T.V or do something besides school work. Not doing my homework on time causes me to stay up late. Which is not good. I get around five to six hours of sleep everyday. Next year I plan on achieving this goal by finishing up any homework first, rather than watching T.V. I will stay motivated because the faster I finish my homework, the more free time I get. Goal setting is important because it allows you to stay focused and once you accomplish a goal, it makes you feel really good about yourself. I try to follow through my goals but it usually doesn't workout as planned. Next year I will try really hard on this goal because it will benefit me next year in college and it will get rid of my bad habit of watching too much T.V. Every year, I try to think of a unique goal to set for the New Year. I can never seem to find a specific goal to set so I try to just stick with the basic, achievable goals. My first goal is to keep focused on my school work and continue to get good grades. Grades have always been important to me and they need to continue to be, especially if I want to play hockey in college. In order to achieve this goal, I just need to continue to study and work hard in school and not become a lazy senior. My next goal is to continue to work hard at hockey and continue to get better so that I can achieve my dream of playing college hockey. To achieve this goal, I need to keep working at practice and keep working out to get bigger and stronger. I think having my team beside me at practices and workouts will be good motivation. Goal setting should be important to everyone because it always keeps you working toward something. If you don't have goals, you tend to get lazy and procrastinate. You always push things aside and probably forget to do them. I always try to set goals that are reasonable so that I can make sure to achieve them. Goal setting in general is a big motivator and it makes you look forward to something in the future.My goal for the upcoming year is to get a job for myself. I think by getting a job it will better prepare me for college on how to deal with my own money and be more responsible with it. It will make me appreciate the value of money more because I will be the one earning it. Also, I want to have some part in paying for college. Even though it might be as little as buying some textbooks with my own money. By having a job I think I won't waste as much time as I do right now because with a tight schedule I will know not to procrastinate too much. I plan on coming through with my goal and pretty much applying anywhere employers are hiring! with new years coming around the corner i have different resulations for my self one ise to make sure i keep up my good grades and to do my best to not let them slip, with senior year its hard because alot of people have the sinsation that they just dont feel like it in general to study or to do work, well i actually want to try. another resulation for my self is too maintain a healthy life style after wrestling because i dont want to let myself go like i did last year i always want to be healthy for as long as i physically can and i want it to last as long as i can. Year after year, I tell myself that I will fulfill whatever goal I have made the previous year, and almost without fail every year, I always either forget or simply never follow through. However, I have come to realize that my goals were simply far too unrealistic, and that I have decided that this year, my goals will be far more within reason and definitely more realistic. No matter what it may be, I can assure that this time it would be fulfilled. The main goal that I will set for my self in the upcoming year is going to be that I have to finish the semester strong with all A's. I haven't ever achieved this goal and I really think it would be a strong way to finish high school. I want to achieve this because it is something that I have attempted before but fell short because of one class, and I truly believe that I can do it. I am going to be setting aside a couple of hours every night to study for tests and quizzes that I feel unprepared for. I plan to stay motivated by knowing that if I achieve it, I would have finished high school in the best possible way grade wise. Setting this goal is very important to me because it will help me in more ways than one. By studying I will actually learn the stuff I need to learn and it will help boost my GPA. I usually follow through with all my goals. However, there are goals that I haven't followed through with, but this goal is definitely not going to be one of those. Everybody knows that most new years resolutions work for two weeks then fail for the rest of the year. This happens because people don't see results in their bodies and decide to stop working out. What people need to understand is that if you work out you won't see results until 3 weeks. My goal for this year is to run at least 1 mile every week. For my dietary goal I want to limit my eating out to 3 times a week not only will this help my health it will help my wallet. I will benefit from this in the later years of my life. In 2013, my main goal is to keep up with my grades and academics. I want to achieve this goal because I want to prove to the college I'm attending that I won't start slacking once the school year starts coming to and end. To achieve this goal, I plan on getting my homework done right when I get home so I don't procrastinate. I plan to stay motivated by rewarding myself whenever I complete big assignments and projects. I think goal setting is important because it helps you stay focused and on track. I don't usually ever follow through with my goals mainly because my schedule is constantly changing so it's difficult to complete a goal. With the new year approaching I have decided on a few goals that I would like to achieve. First, I want to focus on my school work and continue to make good grades. I can tell already that I have a bad case of senioritis...I can achieve this goal by working hard and staying on top of my assignments. Second, I want to continue to get better as a golfer. I think our team has the potential to go to the state tournament this year so I need to continue to practice daily and not slack off. My main goal for 2013 is to cut down on soda and candy. I am addicted to Coca Cola. I don't like tea or coffee so Coke is my only way to get caffeine. I will limit myself to one soda a week which will be difficult. Also, i will cut candy out completely. I want to achieve this because i know how unhealthy candy and soda are for you. I am going to try and stay motivated by doing it with a friend so we can motivate each other. I do think goal setting is important but difficult as well. I know that i have never really followed through on a new years resolution before but with other goals i have. Hopefully i can achieve this so when i go to college in the fall it won't be as hard to stay away from all the unhealthy stuff. Since the new year is getting close, I hope to set some new achievable goals for myself. I think it is important to set goals for myself so that I always have a way to improve myself or strive to reach something new. With college coming up I want to instill healthy workout and eating habits that I can maintain once I get to college. My goal is to have a consistent workout schedule by working out at least three times a week. I also want to only have one “splurge” meal per week and keep my soda and sweet tea intake to a minimum. When I work out on a regular basis tend to make better eating habits which makes me feel healthier and better about myself. Another goal I would like to accomplish is to read through the Bible from start to finish. This requires a lot of discipline so when I have tried this in the past I normally get off track after a month or two. When I mess up for a couple of days I tend to give up instead of getting back on track. While reading books from the Bible in a random order is great, I think that reading through the whole Bible would allow me to gain knowledge as well as grow in my faith. To stay motivated with each of these goals, I hope to find a friend that will keep me accountable with my goals. If I stay disciplined and focused on my goals then I think I can be successful in 2013! One of my main goals is to be able to balance all the stuff in my life a little better. School, job, applying for college, homework and studying becomes a little hard after awhile. I want to be able to become more organized with this stuff so i'm not so stressed out and depriving from sleep and rest that much. I'm going to try and organize what I'm going to do for each week and get an agenda so I don't do things the last minute anymore and stress out about test, college or work. My second goal is to be more healthy and work out. Lately because of my schedule, I've been eating a lot of junk food because it's quick and easy to get. I also haven't been working out as much as I use to. I'm going to start looking for snacks that are healthy like fruit and start making time to go to the gym. Lastly, I want to try and see my family more. With everything I have going on, I feel like I've neglected them and haven't put too much effort to seeing them. I'm going to start taking some weekends off of work and studying to go spend some quality time with them. After all, family comes first for everything. It is good to set goals because they help you be more organized and after achieving them, your self confidence build up and you are more relaxed and happy with yourself. Honestly, I have a problem following through with them. I go strong with them for like a month, and then I start getting lazy with it. I tend to forget what my goals were at times. But this is a new year and I'm graduating, so hopefully this year will be good luck for me and I'll go through with them! Goals are important to have so that you have something to work towards. It is important that your goals are reasonable and attainable. My main goal for the new year are to be a lot healthier, drinking much less soda, working out even more that I already do and losing weight. This will contribute to my energy, appearance and attitude. I also want to make the Baylor or TCU cheerleading squad, which requires me to push myself and acquire new skills by April. I really plan to try to keep my goals in sight and work super hard to achieve them. These are things that I really want to accomplish in 2013!!! My main goal for the upcoming year would be to stop procrastinating and use my time more efficiently. By doing this I will be able to get more work done and be able to more with the leftover time that I will have on extracurricular activities. I will be able to also take a lot of stress off of myself and pay more attention to other things and not have to scramble around trying to get things done on time. One of my new goals for the new year is to get my name on the record board at the school for track, in order to achieve this goal I'm going to have to get my 800 meter time down through strenuous track work outs and I plan to stay on track by time trialing to track my progress throughout the season. In 2013, my main goal is to really make sure I fully learn how to balance my time better going into my freshman year of college. Between school, work, and soccer I have to find a way to balance my time in a way which allows me to be productive in all three aspects of my life. Going into college, I will have to balance my time so I can actually get things done and be productive. Getting organized is also a main goal of mine. This will greatly help me in the future so I feel it is necessary. In order to manage my time better I will focus on making sure I am giving full effort in all tasks and making sure I am always on topic so that I am making full use of my time and not slacking off. In order to stay motivated I have to just keep reminding myself that it is setting me up for my future and for college so I will keep at it. I usually follow though with my goals, so I feel that I will be able to stay motivated and accomplish these goals. One of my main goals for 2013 is to keep in touch with my family more. I feel since I'm so far away from them I tend to get too rapped up in the things going on in my life that i don't make enough of an effort to stay in contact with them. Although i do need to stay concerned about collage and other things, that shouldn't mean I should put them off. Therefor I'm going to try to put more of an effort to keep in touch with them. Im going to do this by making time to call them every once in a while. I usually follow through with my goals if their important enough. My main goal this next year is to spend more time with my family, and tighten all of my relationships before I leave for college. This goal is important to me, because my family is very spread out and isn't what you would call a "normal" family relationship. Another one of my goals is to be healthier just like almost every other person. I plan on eating better and not spending so much money on food every week. I also plan on working out on a daily basis for my own benefit. Goals are important to me, because I personally believe that without goals you can stay behind in life and have nothing to look forward too. 2012, taught me alot of things about myself and alot of things I need to work. With 2013 approaching that also means college approaching there are SO many things I have to do in order to prepare for it. For this new year one of my main goals is to spend more time with my family. I've heard in college, especially your first semester you tend to miss your family more than anything. I think this will be my easiest goal to accomplish because my mom is always recommending more family activities, like dinner and movie nights etc. And since I realize I will have to leave for college earlier than my best friends, another goal would be to spend time with just my closest friends that I know i'll our relationships through college will stick, because most likely we will all be going our separate ways and I want to leave with a good piece of mind. Another goal I have for the next year is to develop better time management, mostly because in college it's definitely one of the most important skills to learn and I already struggle with it. This wont be that hard to find motivation either since I'm aware this is one of the most important skills I'll take to college. My primary goal for 2013 is to lose weight and ultimately to get myself into better shape. On New Year's Day 2013 my dad and I have planned to begin competing to see who can basically get their body in better condition in a 3 month span. This means that we will both be running more often, eating better and working out more. The hard part will just be keeping the routine up through the rest of the year, but I'm excited to begin being more healthy. 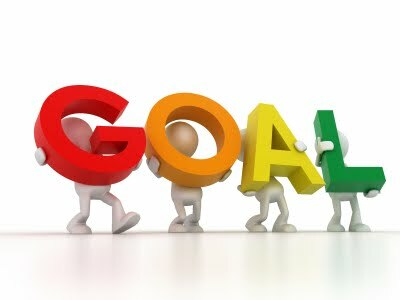 I think that goal setting is a very important aspect of life because it can be very useful in aiding you to stay motivated through education, religion, work, ect. A new year is right around the corner and I have set some goals for myself to reach through the next year. Since I will be going to college next fall, I plan on making education my first priority in order to prepare me for college life. I also want to improve my diet because I want to start living a healthier lifestyle. I plan on informing others of my goals so that they may hold me accountable, and keep me motivated. Progress is one of the things that is on my top priority list. In order for progress you have to set goals not only for physical needs but mental and emotional needs. I am constantly setting goals from myself in order to improve my lifestyle and grow into the adult I will become. Since New Year's Revolution is something known world wide It is crucial I set some for myself. In the coming year I plan on graduating from high school, starting college, continue eating health, getting a full 8 hours of sleep per night and more. I keep up a healthy routine the majority of the time, but like most I give in and have a moment of weakness. Doing this weakens my whole healthy lifestyle, and causes me to drop my healthy routine and I trade it for my fast food unhealthy diet. So this new goal I will set for myself is to actually stick with a routine. With the new year approaching it is important to set new goals for yourself. In 2013 my goals will be to lose at least pounds so that way once I'm in college and i know it will be harder to maintain healthy dieting because things will be so crazy. I would also like to finish out my senior year with good grades just to make myself feel confident for college. Once i start college my goal is to join a sorority and maintain a good grade point average. Another goal of mine is to maintain a good relationship with my best friend because i know we will be going to separate colleges. I plan to stay motivated by actually doing my work and working out at least everyday to stay healthy and keep me energized because i've noticed that when i don't work out i don't have as much energy to do my homework. Goal setting is important because it gives you motivation to reach those goals and i know for someone who is really competitive like me, if i don't reach my goals i get really upset with myself. I do usually follow through with my goals but sometimes i lose motivation but this new year i will push myself harder and harder until i reach my goal. My main goal for the 2013 year is to eat healthier and to run a half marathon. I pan to eat healthier by significantly reducing my intake of sweets and other overly processed foods. My sister and I hold each other accountable for what we eat by placing bets like if I cheat then I have to give her $20. It is a great incentive not to eat bad because I don't want to lose $20. I want to eat healthier because I want to take care of my body and its better to learn good habits now than in ten years when it will be more difficult to break the bad habits. Another goal is to run a half marathon. I love running and it is something that I have thought about trying for a while. Some of my goals for this upcoming year is to grow in my faith, relationships with friends and family, and to work harder in every aspect of my life. These are important to me because my faith and relationships are a huge part of me and who I am. They influence me and help me through each and every day, I can only continue to grow in these and never lose sight of the things I love. Working harder is important to me because no matter what I do, I can improve in it and make it that much better, so why wouldn’t I try? I want to be the best I can be at everything I do and that only comes through hard work. I am pretty good at keeping up with my goals but it is a true commitment and it can get tough at times, it’s at those times of weakness when you find out if you are truly a strong willed person, or if you will fall at times of struggle. It is healthy to set goals for yourself. Without goals you wouldn't accomplish as much. When trying to achieve a goal you have to be willing to strive to meet that goal. You should never allow yourself to give up, keep telling your self that you can do it. I try to make sure that when I set a goal it is achievable, but not always easy. My New Years goal this year will to keep up my grades and maintain a good grade point average in college. Another goal is to completely cut of soda, and to exercise at least 3 times a week. I will achieve these goals by making more time for studies and exercising and by staying away from soda. I will continue to motivate myself to succeed. By achieving these goals they will help ,e in the long run, getting good grades can lead to great success in the future and staying away from soda and exercising is crucial to living a happy and healthy life. I always follow through with my goals because I hate the thought of failure. Setting goals is very crucial in becoming successful. For the up coming year I plan on becoming more community oriented, I didn't give back enough this year so I hope to make up for it next year. Another thing I failed to do this year was meeting my goals for running. Next year I would like to run more and become more physically fit! I plan to make each day count and get in at least 3 miles a day and participate in many marathons and fun runs! To stay motivated I'll make appointments for the volunteering and then set aside a daily time for running! It's been hard to always remember my goals through out the year but if I set reminders on my phone and in places where I would see them it should be hard to forget! This up coming year I plan to work harder in the classes that I failed to do well in. I'd like to exercise my body a lot more to keep fit for the future. I've never really made goals for myself and the ones I have made have been achieved to some degree. To make up for that I will stay focused on what I want to do for myself and hope to be pleased with the results. For the new year, I plan on making myself do homework. I have a bad problem with procrastination, and I can never get myself motivated enough to work on assignments when I need to. Going along with doing my homework, I need to prioritize my time and manage it well. I need to set times for when I will do things, and not become lazy and waste my time with TV or doing other things that don't really benefit me. During 2013 I am going to make several goals for myself. Among the LONG list of self improvements I am going to attempt to make (because I'm such a terrible person) I plan to practice an inside voice and to work a majority of the days each week in anatomy (in spite of senioritis). Other goals included building traits that will help me succeed in college (I'll be at UT cheering Chiaka to a national championship). If I'm feeling courageous at the time I'll follow in "Coach" D's footsteps and major in microbiology with a master's in science education. That would definitely open doors, and help push me to be the best I can be. I look up to her as a teacher, adult, and friend ("close" friends as defined by Facebook). While she doesn't have an interest in many things, the things she is passionate about drive her to be her best. Because she inspires me, my goals seem to coincide with her own. She has helped me grow as an individual, and my goals will continue to include her "constructive criticism" to help make me the best man I can be. This upcoming year I will try to set more goals toward eating more healthy. I need to set aside time to make up a schedule of things to eat and what is good and not good. I normally eat fast food places but I need to stop and get more fruits around the house. The only thing I cant change is that I love Dr. Pepper and I cant give that up. haha. But I do need to eat better. When my mom cooks its okay but when she doesnt I seem to fall toward fast food or whatever is easiest. My Goal for the new year is to get in shape for college. I want to lose weight and then come spring football again put on muscle. Most of the time i follow through with my goals but this is a more challenging one for me. I plan to motivate myself by rewarding my body at the end of the week with some take out food. And this goal is important to me because i like being in shape. As the new year leaves 2012 and we enter into the year 2013 I want my goal for me to get more into schoolwork and less into doing other things. As it will be my next year for me to go into college I should start getting more into studying now so I am much more prepared for my first year of college, this is why it's important to me for me to do this now, else I can screw up really easily my first year of college. Hopefully, if I actually follow this goal properly, my grades even now will be able to improve and I'll do much better in college then I would do right now if I didn't follow this goal. It will be the year 2013 very soon! As this year approaches I want to focus on doing more things outside of school that will help for the Coppell community. Usually, once I"m done with school I head home and just relax, choosing not to do anything else other then study for a test or do homework, however, I want this to change. Maybe I'll start doing more things such as help picking up trash around the community or just helping out after school one way or another. This is important to me because I want to be an outstanding member of the Coppell community and help out for the greater good in the community. Setting goals is important to being productive. It helps to have an end goal so that there is something to strive towards. For the most part I stay true to the goals I have set. Whenever I put my mind on something I know I can achieve it. My major goals for the year 2013 is to become more decisive and not to second guess myself. I need to commit to a college wholeheartedly. By looking at all the facts and what school best fits me, I can accomplish this goal by spring break, hopefully. Also I want to run and complete a half marathon before I graduate high school. After running a 10k in February, I have been wanting to get more into running and push myself harder. I plan to run with my sister and her boyfriend. In order to stay motivated I will continue to feed off of their encouragement and I have inspirational sayings on my mirror at home so that I can see them every morning. I'm so excited for this 2013 year, because of all the opportunities that it will present. One of my goals for next year is to win the state championship in ultimate frisbee. I've been playing the sport for 3 years now, and I have yet to win the state championship yet! Another one of my goals is to submit the short film the "Mammoth Affray", to many film festivals and hopefully be selected to them. Obviously i would like to graduate high school, i guess you could consider that a goal! I think that setting goals is a vital part of my life because I always strive to achieve it. It helps you stay focus and achieve whatever you want. As this new year approaches, I am going to set quite a few goals, starting from helping out my parents more. Since my dad recently purchased another store, I am going to help him set up everything and attend the store a couple of times a week to make business. Another one of my goal is to start reading more books. I need to improve my vocabulary to make it extensive as I am going to college next year. Also, I am going to start helping out the community more often as I just received the rank of Eagle Scout. Goals are really important to set and achieve because it leads you to being productive and helps you be successful in life. I believe everybody in this world need goals to motivate or strive them towards success. Goals are very important us. My goals for this year is earn good grades in my first of my college, maintain a healthy lifestyle for my body, and getting a job. In order to reach my mountain top or my goals I plan to work hard more, paying attention into my classes, make a checklist so that I don't wonder around. Like I said before goals are very important us. It is what drives us forward. Goals help you achieve your highest potential. Without goals, you subject yourself to the natural, default set of actions that keep you feel safe and comfortable every day. Goals ensure you get the best out of life. That's what I plan do. A couple of my goals include not letting senioritis kill me, decide which college to go to, and do well in my first semester at college (wherever it may be). The main reasons for each of these goals is that i want to do well and these goals are all conducive to that end. The main way i hope to achieve these goals is through the motivation of almost being done with high school and setting a good standard for my college career. Goals are very important for people because it gives us something to strive for, and i am usually good at following through with my plans. My goal for the new year is to work and complete the yearbook by spring break. I am going to achieve this by encouraging my staff to work hard and plan ahead so they can get the pages done as soon as possible. I will stay motivated because I know that the whole student body will be expecting a great yearbook for their 2012 - 2013 yearbook. Goals are always important to have, it helps you get things done. Depending on the goals I set, I can or cannot finish the goals. Sometimes the goals many be extreme and I don't keep up with them. I think goal setting is extremely important in order to live an active, healthy, and happy life because setting a standard for yourself or wanting to accomplish something in the long run ensures that you make the best of the opportunities you're given. Setting a goal gives you something to strive for, which, in my opinion, adds something more to life than just going through pointless daily motions. My goals for the new year include maintaining a healthy lifestyle, spending more time with my friends and family, giving more attention and time in my day for my interests and activities, deciding which university I want to go to and completing the college application process, and doing more to help out the community. My goals are pretty broad but I feel that narrowing each goal down to smaller goals, like maybe aiming to exercise an hour a day or making it a point to spend at least a few hours with my family every week, will help me achieve my goals in the long run. As people have already mentioned, I think goals enable us to be more productive and give us an opportunity to reach our full potentials. I think setting goals is very important because it gives you something to work towards. If you have no goals then you have no motivation. WIth goals you know what you want and then you can know what to do to reach your goals. My goal this year is to find a college to play football. I want a college that i fit in. My next goal is to start at that college as a linebacker. AFter that my next goal would be to hopefully play D1 football. I want to reach these goals because football means a lot to me. In order to reach these goals, I will work hard and stay focused. I believe that setting goals are crucial in achieving things in life. People who live life without goals get no satisfaction out of reaching new levels. I have three goals for 2013. 1)Pass all of my classes in college next year while having fun and making new friends. 2)Get back into shape by working out at least four days a week. 3)Make my final goodbyes to the people of this community who have helped shaped me into who I am today. My goals for 2012 are to not procrastinate as much as I usually do because it has become a big problem for me. I also need to be more productive with the time that I am given rather than wasting it. In order to achieve goals, I need to be able to keep up wit these goals long term. To do that, I will not only act upon my goals, but make them a habit so that I'll keep my goals for a very long time. For 2013 I hope to hold true to the goals that I have set for myself. I want to be more grateful for the people, opportunities, and the fact that I have had eighteen healthy years of life. Its a scary thing that death can come at anytime, but it forces me to be grateful for the simple moments of right now. I've seen death take people so unexpectedly and have realized that that could be me one day. I hope that this next year I can be grateful for even the most simple moments in my life and be able to truly enjoy what is right now more then what is to come. I have many goals for this New Year! For one example, I want to get more sleep than I have last year. I have a horrible sleeping schedule and I need to fix it by going to sleep earlier and lay off of the caffeine. I’ll stay motivated by not buying sodas and keeping away from them as much as I can. Another goal is that I want to join something that supports a charity. I really love to help people and this will help me get motivated to raise money for an amazing cause! Setting goals and working hard until you active them is the best feeling ever. It is important to set higher goals each time to see what your capable of doing. 2012 was a great year for me, i achieved everything that i wanted before the end of the year, even if it meant setting aside others. This year my goals are to put others before me by making sure how they know how much they mean to me and thanking them for helping me be who i am today, to not procrastinate due to the fact that i have been slacking off a lot lately, place in state for wrestling by training more individually, and to be a better role model for my little sister by teaching her whats right and wrong. My big brother is my motivation for everything i do, i know that if he is ever to come back home i would make him proud. For the new year, I have set several goals that I intend to follow through with. These include living a healthier lifestyle, improving in my faith and working on m relationship with my mom. These are all very important to me, especially now that college is just right around the corner. I don't want to go off to college and eat junk all the time, struggle with my relationship with Christ, or leave on bad terms with a crucial person in my life. Therefore, I plan to work out regularly (lacrosse practice doesn't count), read my bible more and really make an effort to dedicate more time to my devotional, and try my best to be kind to my mom at all times and treat her more like a friend than a nuisance. I plan to stay motivated by keeping my eye on the prize- how much better my life would be if I achieve these goals. I think that goal setting is very important because it helps people to strive to be the best that they can be. Lastly, I can achieve my goals as long as they are things that I truly desire, and these 3 things are definitely things that I want and more importantly- need. For the new year, a few of my goals are to be accepted to OU, my first choice college, work on not procrastinating and getting my work done ahead of time, and lastly staying focused on school work even though the start of the second semester is just around the corner and I’m approaching the end of my high school career. I have these goals because it’s important for me to plan out my future and set my sights high, goal setting in general I think is important. I want to finish out this year strong and not slack on my grades even though it’s heading towards the end of the year. I plan to stay motivated by prioritizing what needs to get done and making sure I set aside enough time to complete it all. For the most part, I am pretty good about following through with the goals I set for myself; this allows me to be successful.